This exercise is very similar to the previous post, but it adds the soft ball as a prop to increase the mobility in the lower spine. 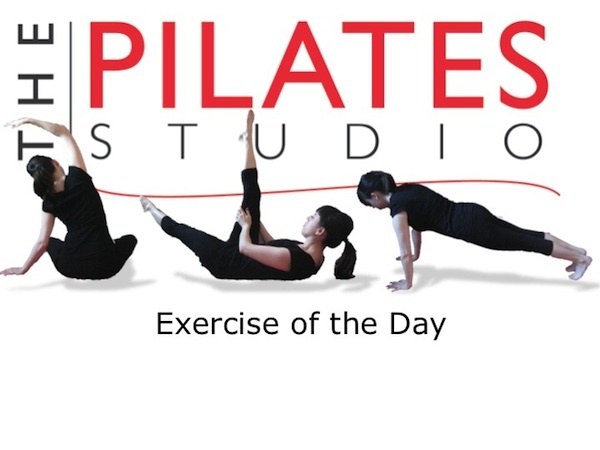 To do this exercise you will need a mat and a soft ball. Start by lying on your back with your knees bent and the bottom of your feet planted in the ground. 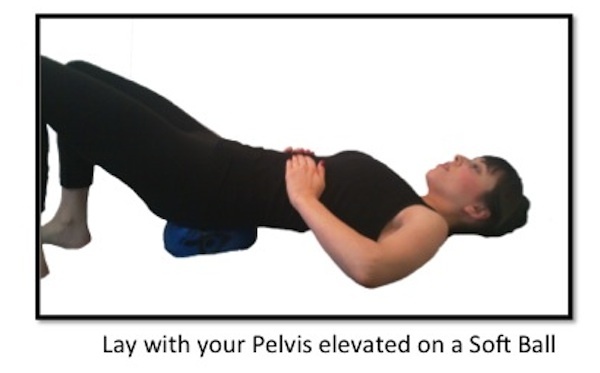 Lift your pelvis in the air so that you can fit the soft ball underneath it. Then let your pelvis release into the ball. Begin some small micro movements in the pelvis to feel the feedback from the ball. 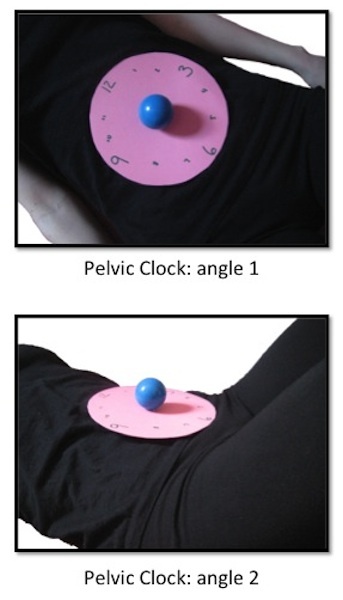 Then begin rocking the pelvis between the belly button and the tailbone. 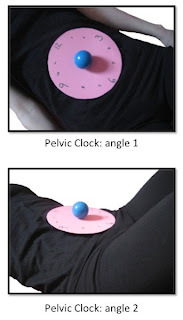 Next practice rocking the pelvis from side to side, and finally allow a circular motion to happen as you rock your pelvis from your belly button to your hip to your tailbone to the other hip and finally back to the belly button. Reverse directions and repeat several times. 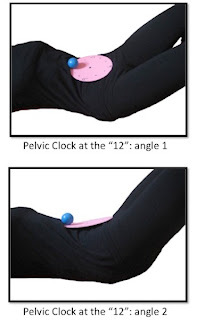 This variation of the pelvic clock will increase the mobility of the lumbar spine, but it is important to remember that while the movement may appear to be larger, the effort is similar to the previous exercise. 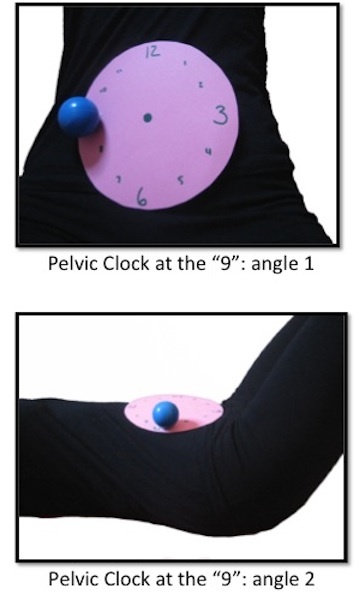 Remember you are rotating your pelvis around the heads of your femurs (thigh bones.) 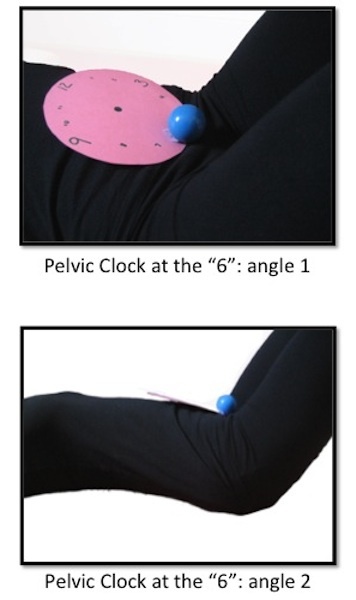 The pelvis is moving and the thigh bones are staying still. To find this separation it is important to continue moving the pelvis with the myofascial connections of the pelvis and to find ease in the larger muscles of the legs.